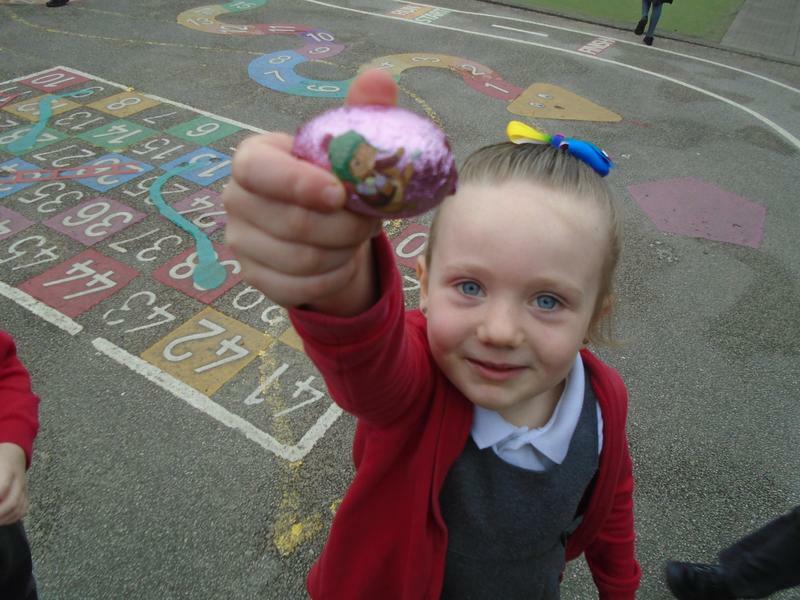 This morning, the Easter Bunny visited Reception and left lots of Easter eggs in the playground. We worked as a team and found them all. It was very exciting. 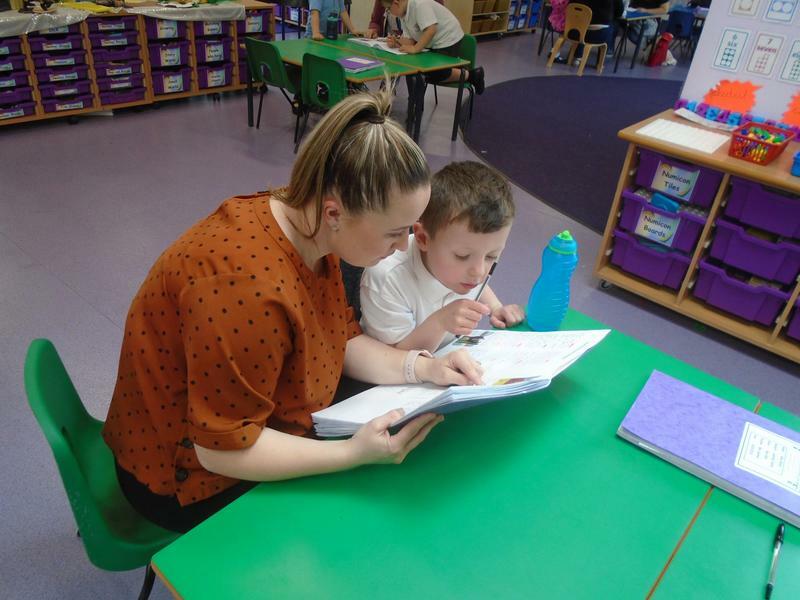 This week we have invited our families in to look at all of the work in our Learning Journals. 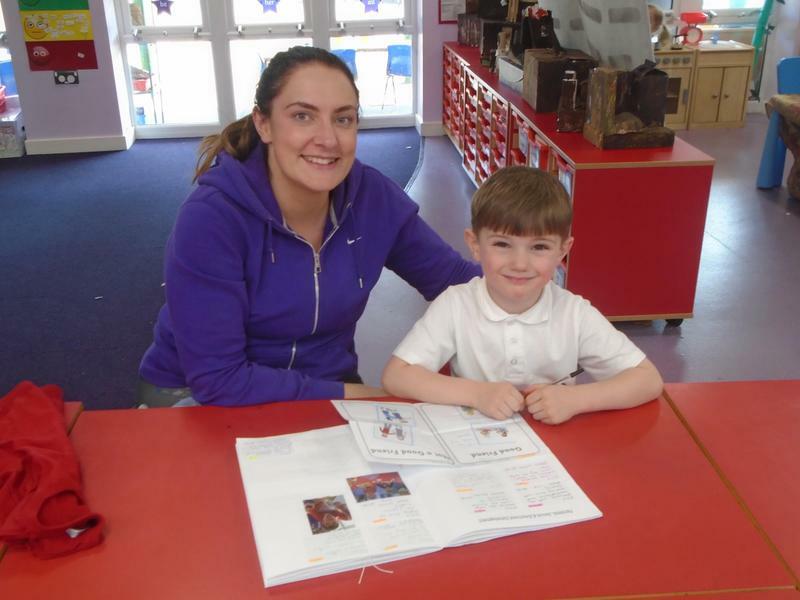 We love our special purple books and are very proud of all of our fabulous work inside them. 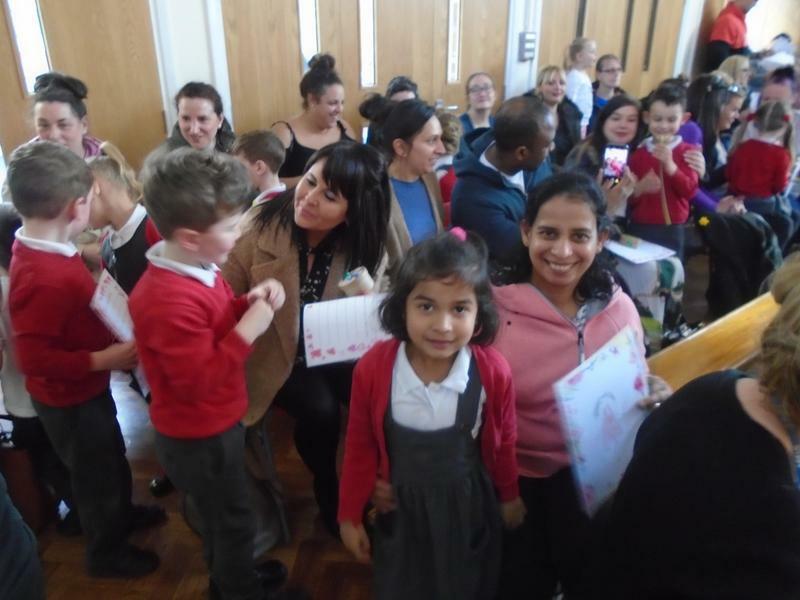 Today we celebrated Mother’s Day with our visitors. 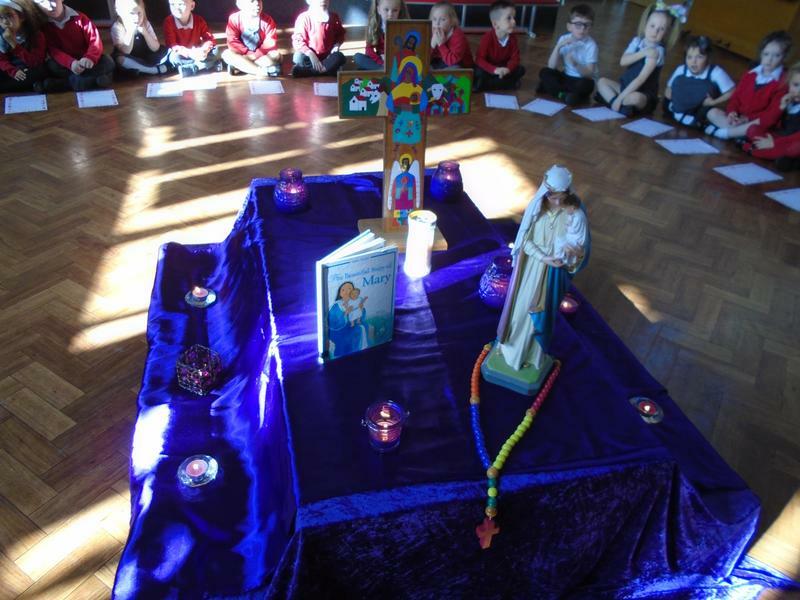 We had a prayer service where we thanked God for our Mummies and Nannies and all of the wonderful things that they do. 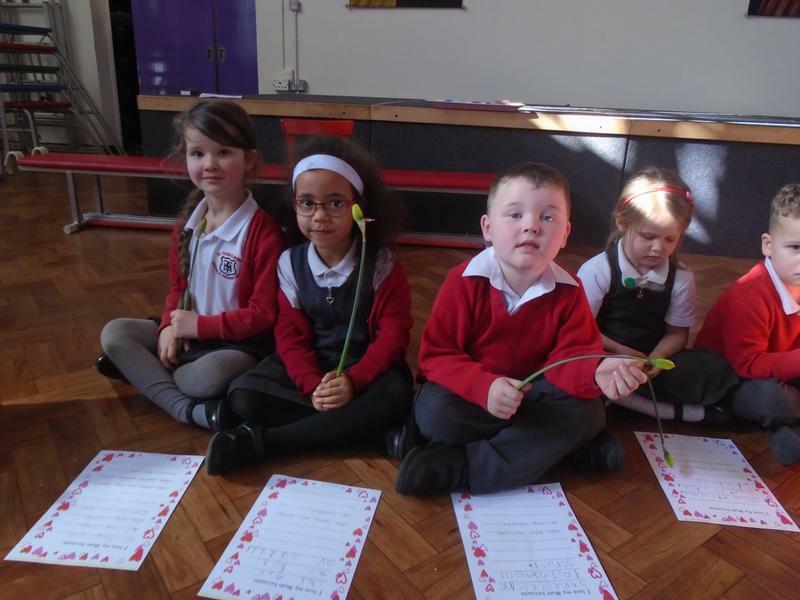 We each shared a prayer that we had written, which we then presented to our visitor alongside a special gift box that we had decorated and a flower. 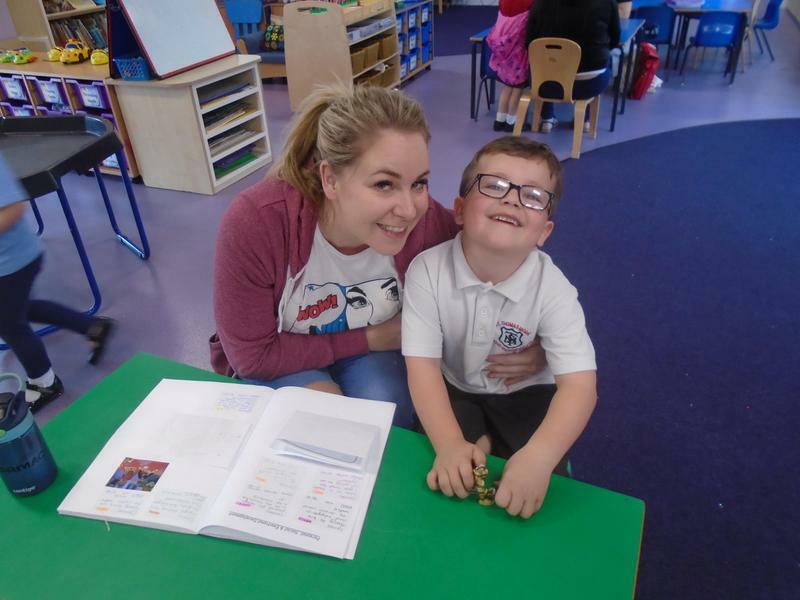 It was a special time that we spent together to show our Mummies and Nannies how much we love them. 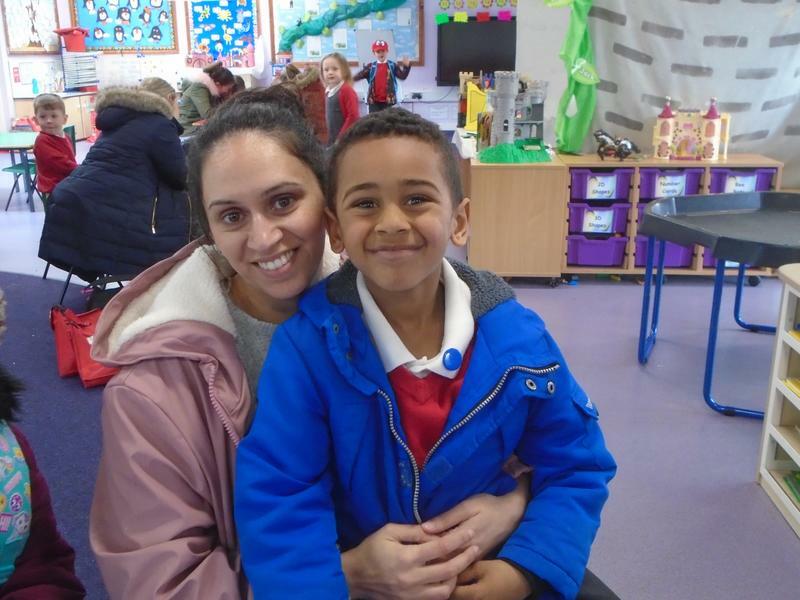 This week we invited our families in to share our Maths learning with them. 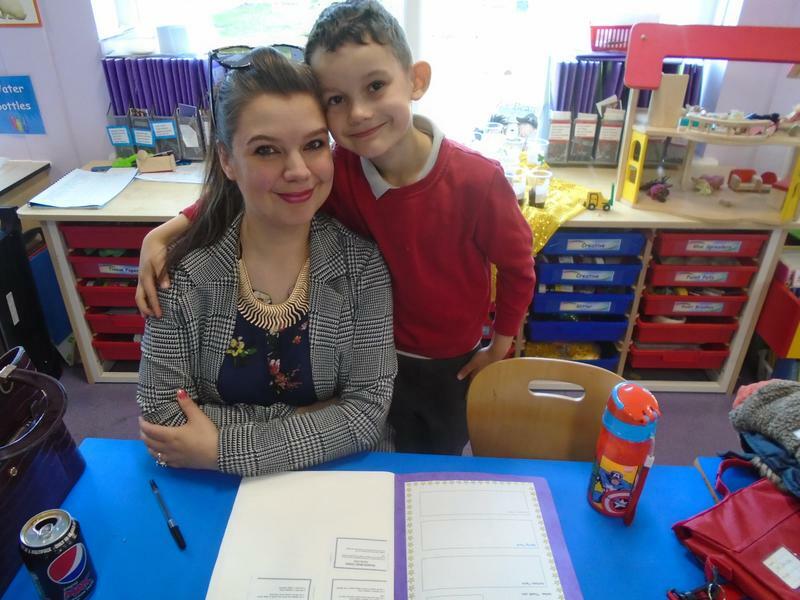 We taught our grown ups how we learn doubles and halves facts to ten as well as how to use a part-whole diagram to add and subtract. 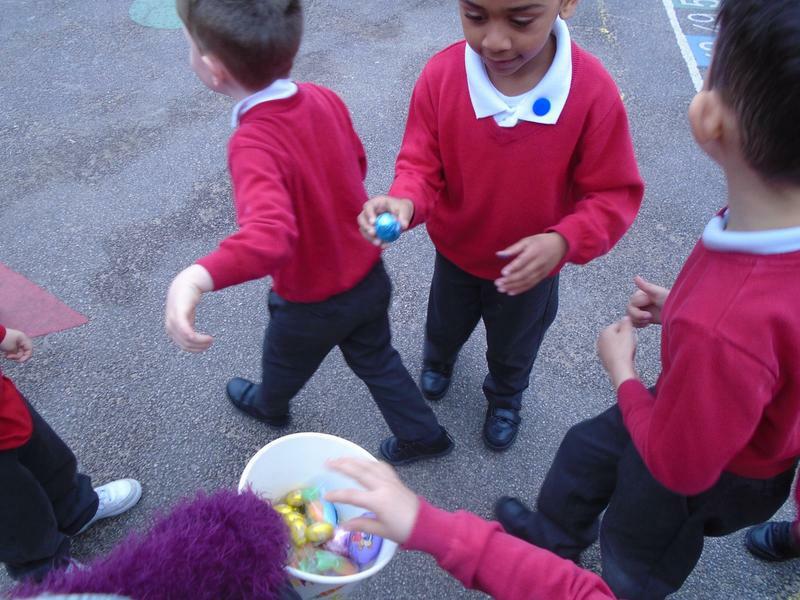 We then worked with our grown ups to make a game that we could play together to make our learning fun. We all had a great time and would like to thank all of the grown ups that were able to attend. 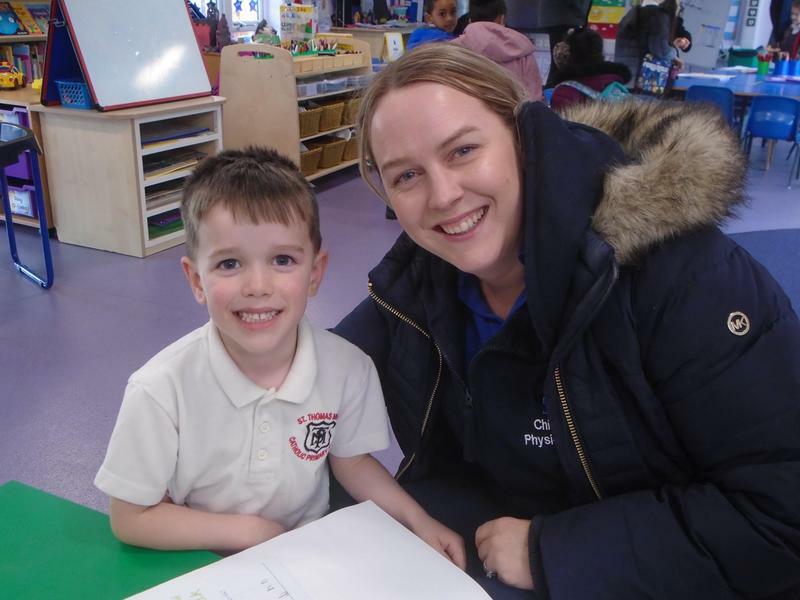 Reception will be holding a Maths Inspire Workshop on Tuesday 26th February 2019 at 9.00-10.00am. 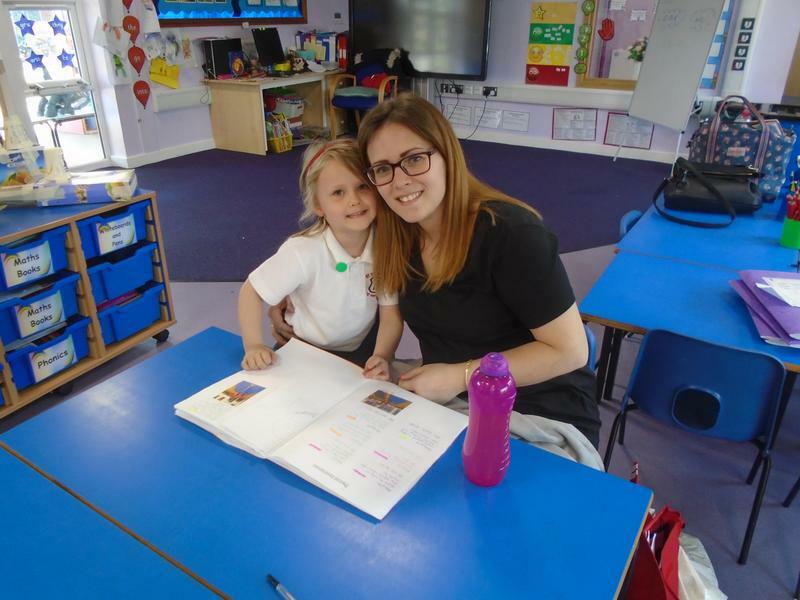 The children will be demonstrating their mathematical skills and will be making some fun resources that you can use to support their learning at home. 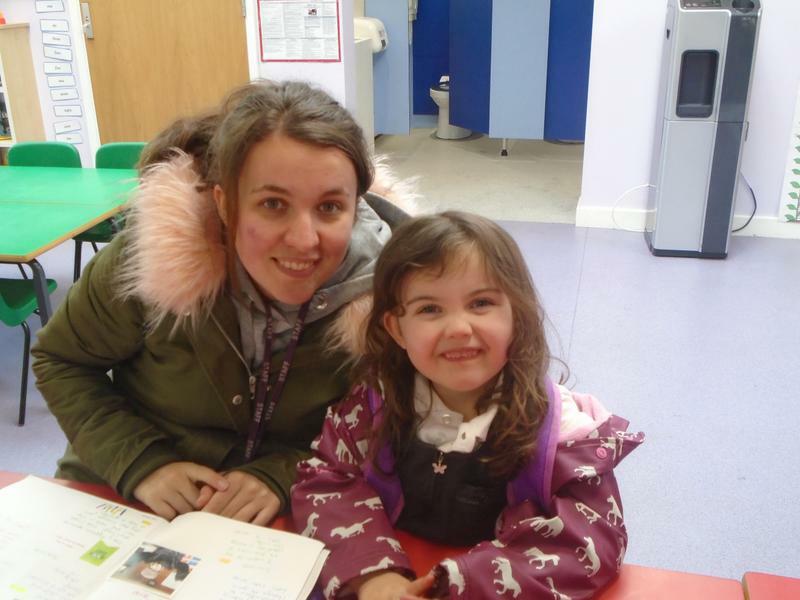 The children love it when a parent (or another adult family member) joins us for these events. We look forward to seeing you all there. The police came to see us today. They brought their uniforms, helmets and hats for us to try on. We also go to see their police bikes and look inside the police van. 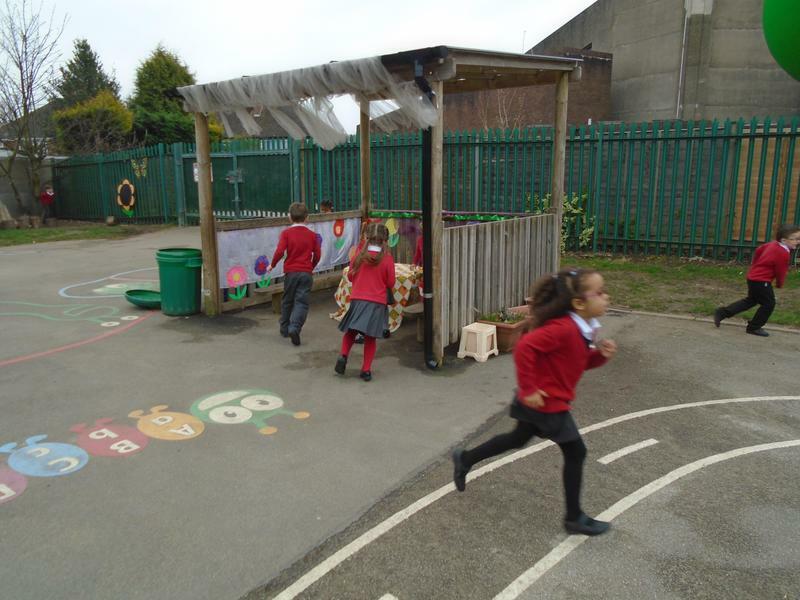 It was very noisy when they turned the siren on. 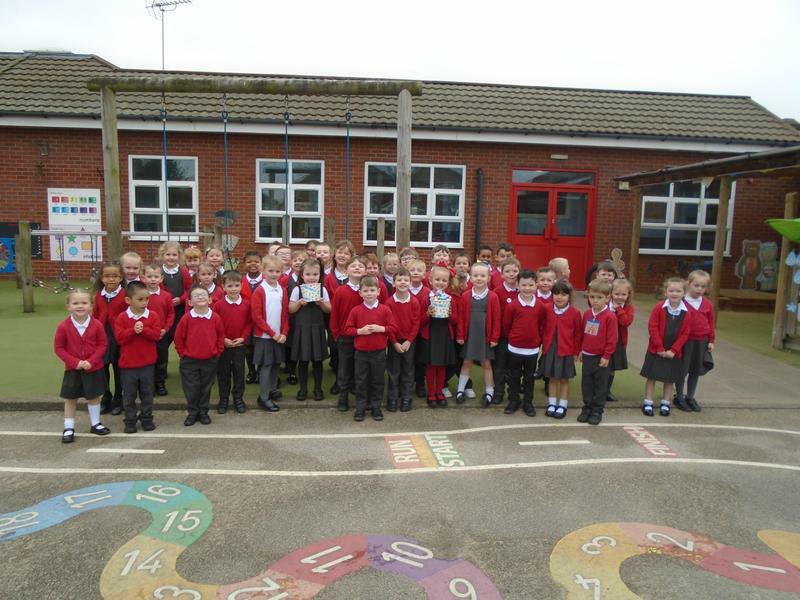 We enjoyed learning about how they keep us safe. We celebrated the marriage of Lola and Rohan. We went to church for their wedding. The priest blessed the rings and their love. 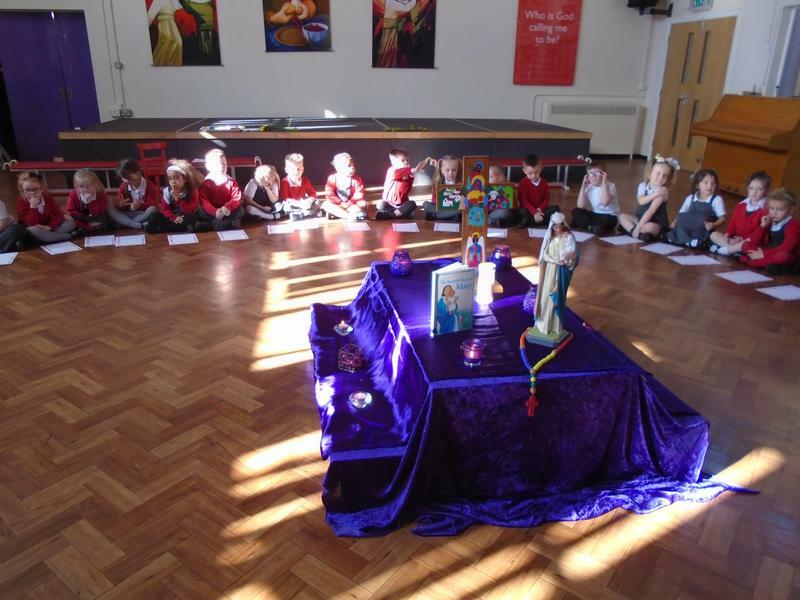 Then we returned to the classroom for more celebrations. The best man made a lovely speech, the bride and groom cut their wedding cake and we had a party. 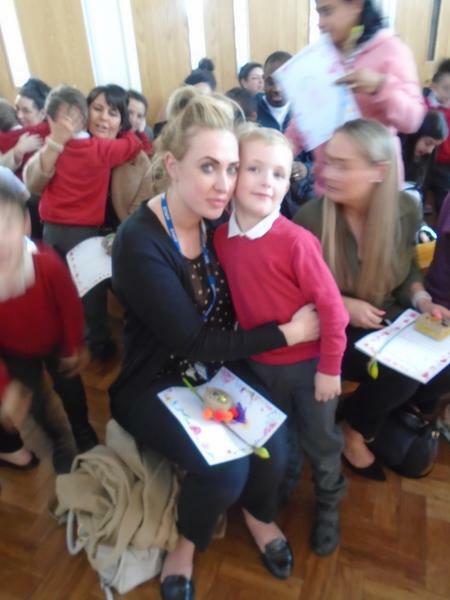 We had lots of fun at our celebration. 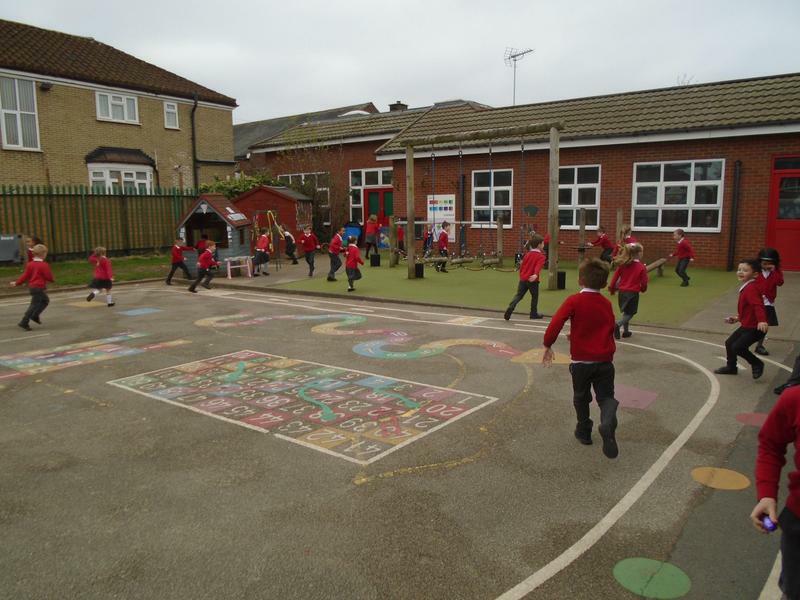 The children in Reception enjoyed going on a bear hunt in Sheldon Country Park We travelled through long, wavy grass and thick, oozy mud, splashed through the cold river and even stumbled through the dark forest. Today we celebrated the Baptism of baby Lucy. We went to church for the celebration. 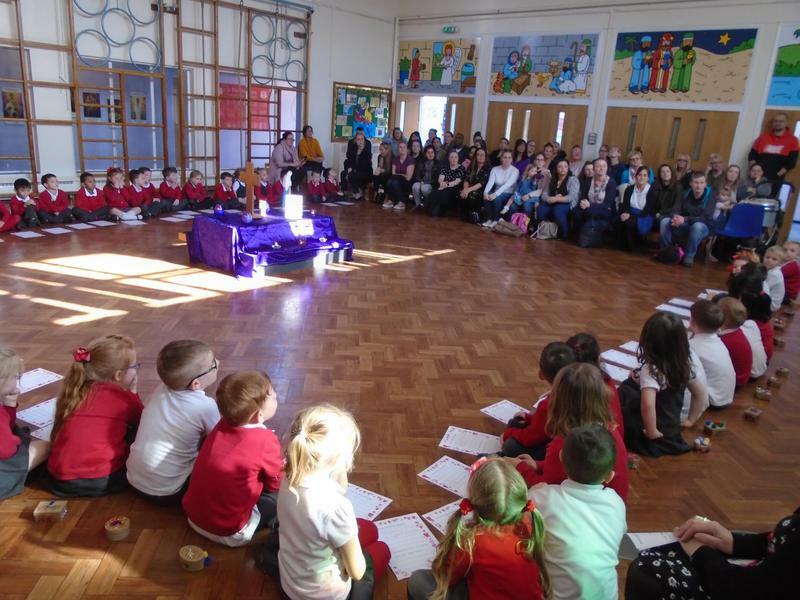 Father John helped us to learn about what happens during a Baptism as we welcomed Lucy into God’s family.